Does your car jolt or bounce you while you are driving? Does your front end dive when you brake or your rear end drop when you accelerate? Do you feel like your car is swaying when you turn? Have you noticed leaks in the housing or abnormal tire wear? If so, it might be time for new shocks and struts. Both are fairly easy for the at-home mechanic to replace, but it can sometimes be difficult to make sure you are selecting the correct replacement parts. For example, many people use the terms shocks and struts interchangeably, but while they are both critical parts of your car’s suspension system, they actually have different functions. A shock absorber’s sole job is to keep a car from bouncing. A strut is more complex; it is part of the whole suspension system. Replacing a strut is generally more difficult than replacing a shock absorber, because strut’s have large springs that are best replaced using a spring compressor. 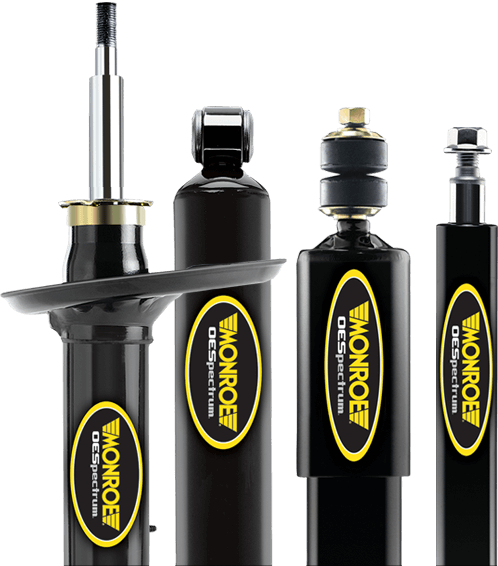 If you replace your shock absorber, because it works with the suspension to smooth your ride, you are basically replacing a single part. Though, some shock replacements may require new shock boots, shock bushing, shock eye bushing sets, or shock mounting hardware. However, if your struts need replacing, you may need strut mounts or coil springs. Also, be aware that front and rear struts and shocks are different; make sure you are selecting the right one for the right part of your vehicle. Joy Auto Part’s helpful employees at both the Chester, NJ and Green Brook, NJ locations can help you ensure you are getting the right part for your repair! Finally, remember, shocks and struts are both replaced in pairs; you replace both front or both rear shocks if you find one in need of replacement.